A species cultivated since ancient times and not known with certainty from the wild, but presumably Asian in origin. 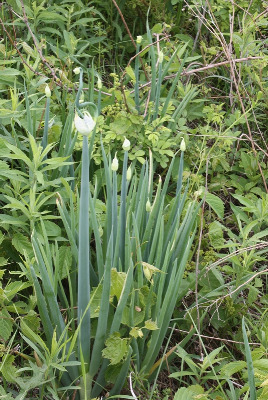 Occasionally escaped or at least persisting and spreading somewhat along roadsides, ditch banks, fields, and dumps, where old bulbs have been discarded. First collected in Cheboygan Co. in 1954. Plants with inflorescences converted to bulblets, the Egyptian or tree onion, Allium ×proliferum Willd., are apparently derived from hybrids of this species with Allium fistulosum. 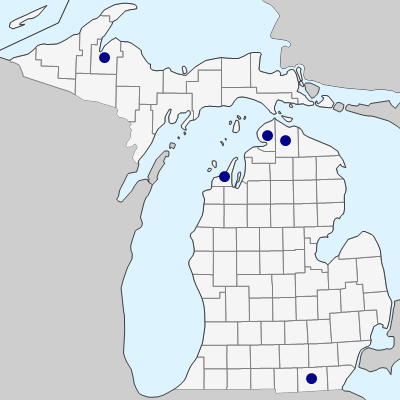 Collections from Emmet, Leelanau, and Lenawee, Cos. can be referred here. MICHIGAN FLORA ONLINE. A. A. Reznicek, E. G. Voss, & B. S. Walters. February 2011. University of Michigan. Web. April 21, 2019. https://michiganflora.net/species.aspx?id=38.